Somehow the default dinner in our house is always meatballs subs. It’s just so easy, quick, and healthy! However, it is slightly challenging because I have to keep snazzing up my meatball recipes just to keep things new and exciting. 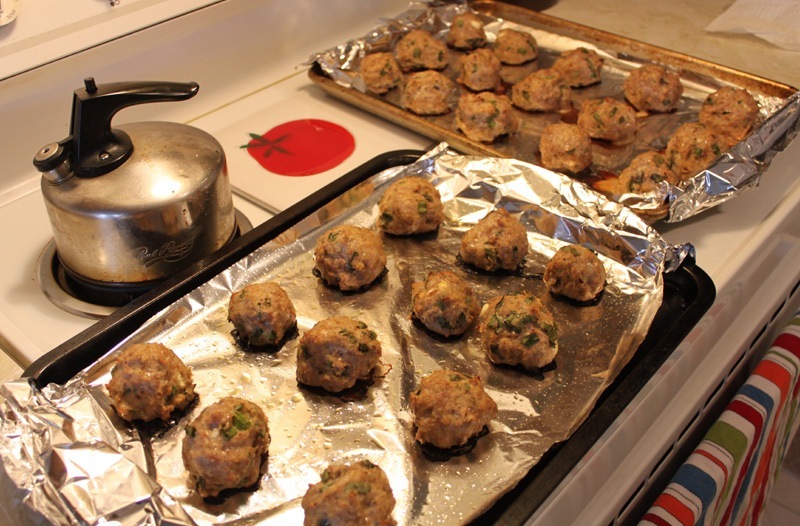 But meatballs can be made in a million different ways so I welcome the challenge. Here’s my latest take! 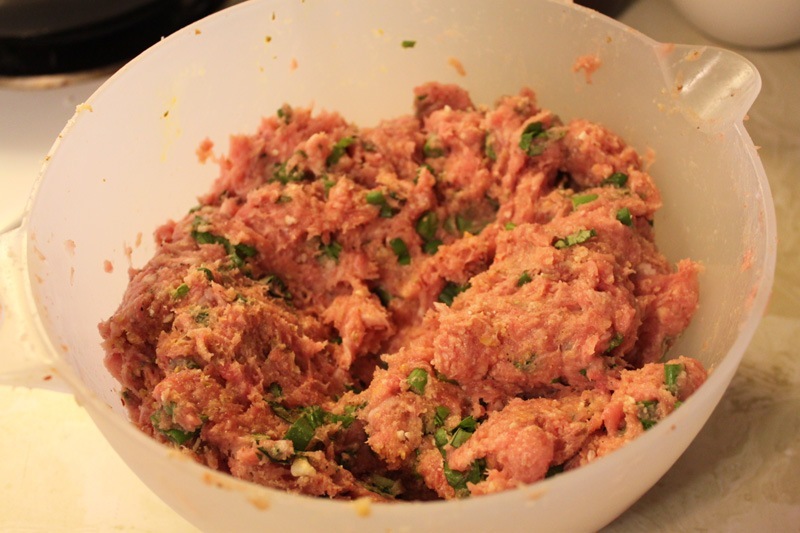 A note on meat: For meatballs and meat loaf I like to use a mix of turkey and another kind of meat. 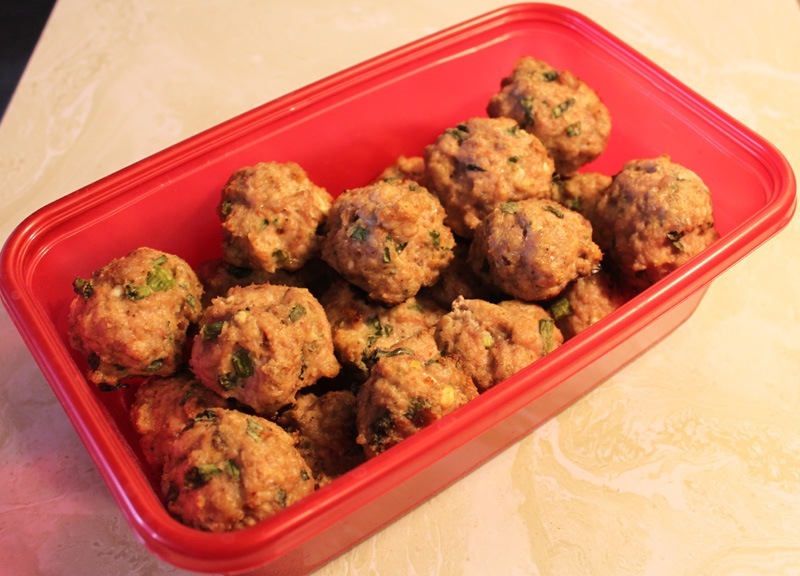 For these meatballs I used ground turkey and ground pork. 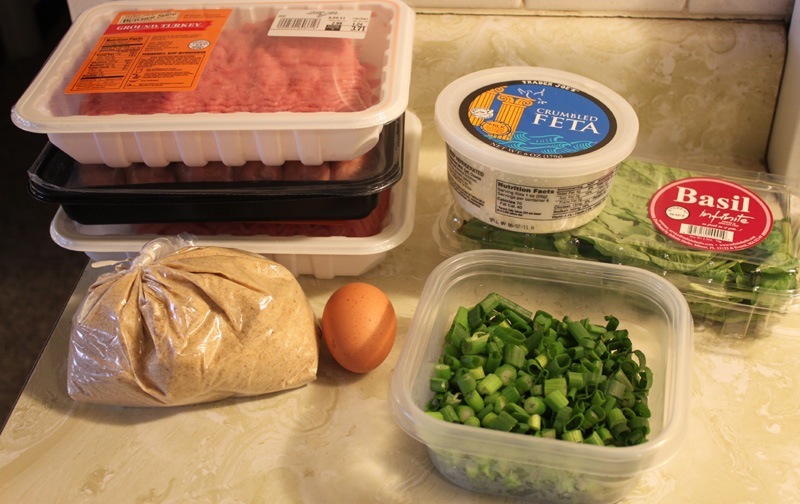 Ground turkey has essentially no fat and, sadly, little flavor. It’s so good for you though and can take on any flavor you mix it with. The pork was a great addition of both flavor and fat. 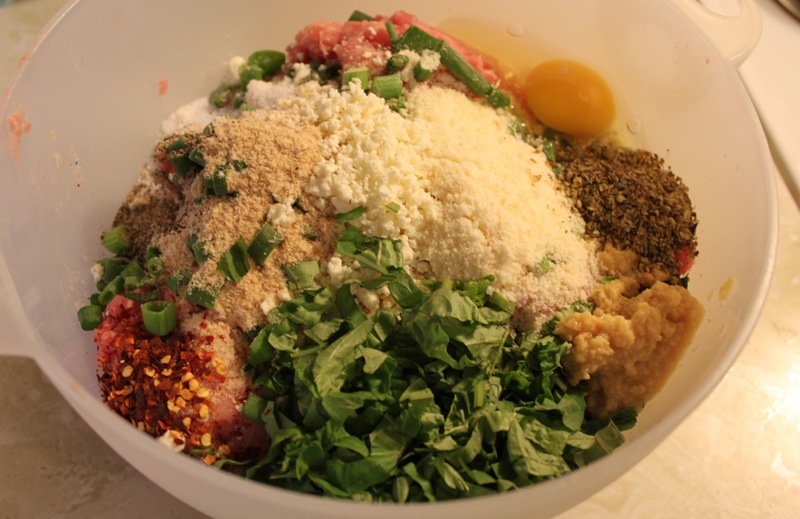 Combine all of your ingredients in one bowl and mix to combine. Forget a spoon here people, the only way to fully incorporate each element of the meatball is to use your hands. Roll your meatballs into whatever size you like. I try to keep them about an inch or so, that way they’ll fit into subs without too much of a mess. Bake on a foil lined baking sheet that’s been sprayed with cooking spray for 40 minutes on 350 degrees (rotating the pan at the 20 minute mark). 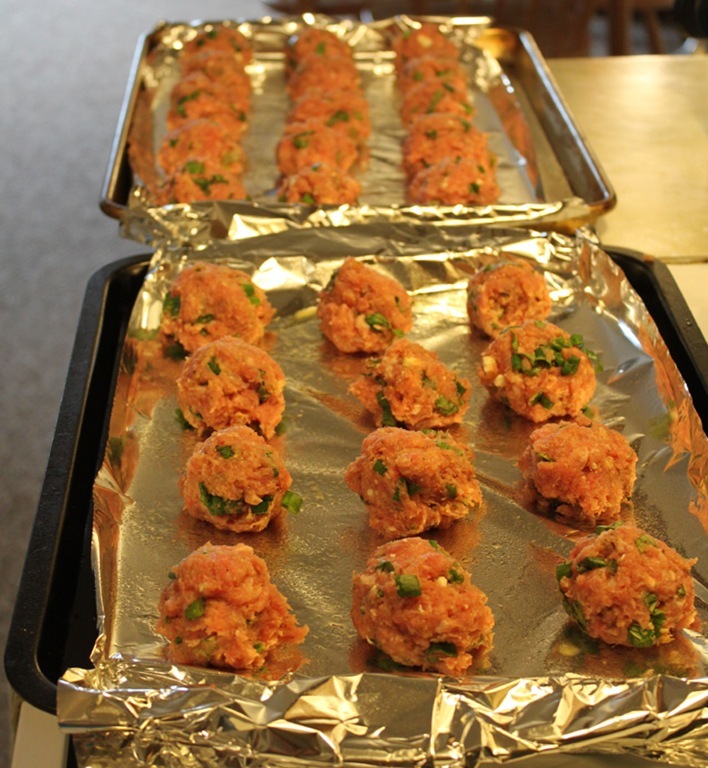 This batch yielded 27 meatballs which will serve as dinner all week. In a tupperware they last and stay fresh in the fridge all week. We heat them up in a saucepan filled with an inch or so of marinara sauce, slap on some bread, rolls, or pita, top with parmesan cheese, serve with a side salad, and have an awesome, filling, and healthy dinner all week long! I love your healthy lunch/dinner options. Any chance you can add calorie/carb/protein breakdowns at the end? You know, thanks for this request! I have been thinking that I should start doing this! Those meatballs look adorable! I didn’t realize it as I was housing them. LOL. What a funny comment sweetie! This recipe looks fantastic and I can’t wait to try it. Thanks!! This is the second time I have made these meatballs. Love them! Thank you for posting! I’m so glad you like them! Thank you for the kind words!